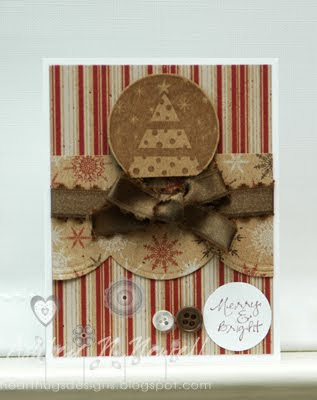 Here's my card from the Paper Maniac blog yesterday. We are supposed to be inspired by Christmas carols this week. Here's my card for this week. I was inspired by the song "O, Christmas Tree." Isn't this Unity Itty Bitty so cute?! I love the size of the Itty Bitties and their sentiments, so perfect for whipping together a fast card! This is just beautiful and love the colors, layout, and the Ippity stamps.